This page may contain compensated affiliate links. For more information, please read my disclaimer. And...we were SO glad that we did! Sure, it was touristy, as expected. But it was also romantic and wonderfully relaxing! In a rush? Book it now! Loads of Choices - Which Should You Choose? There are loads of sunset cocktail cruises on Maui to choose from. 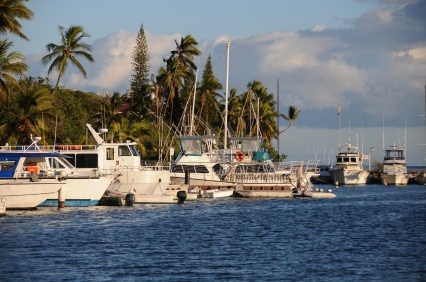 You can depart from Lahaina Harbor, Maalaea Harbor, or even right off Kaanapali Beach! And as for pricing, there is everything from budget $40 cruises, all the way up to splurge-worthy tickets that'll cost you $150 per person! So to narrow down your choices, start out with choosing a departure style - harbor, or beach? If you ask me, the beach departure has a certain something special to it - it's all rather magnificent really, seeing the boat pull up right onto the sand, the sun casting a warm glow over everything, and walking barefoot in the surf to climb aboard. And it's sometimes doable even as a spur-of-the-moment thing. If you happen to be at the right place on Kaanapali Beach at sunset, you may be asked if you'd like to buy a ticket right then and there! So definitely consider that option. But if getting your feet wet doesn't appeal to you, then by all means, take a tour that departs from a harbor. If I were you, and wanted a harbor departure, I'd narrow down the choices and pick a cruise that departs from the harbor closest to where you are staying the night. That way, you won't have an unnecessarily long drive home when the cruise is over. There are so many choices, that narrowing things down this way will not mean compromising quality. This will have a big impact on your budget, with dinner cruises generally costing a lot more than cocktail cruises. Generally speaking, for the same money, you'll get a better meal on land at a restaurant than you will on a sunset cruise - so if you're on a tighter budget, I'd go for the cocktail cruise. We went on the Pacific Whale Foundation's sunset cocktail cruise and had a fantastic time - the food was great, the views were great, and we even had live music! However, if you choose a cocktail cruise, don't stuff yourself at dinner beforehand. Usually there are plenty of appetizers to go around, so you can make a light meal out of it. You'd hate to be stuffed from the moment you board the boat, and have no room for nibbling, right? And if you still feel peckish afterwards, then by all means head to a restaurant for snacks when you get off the boat. On the Pacific Whale Foundation's cocktail cruise that we chose, they offered an open bar with Mai Tai's, beer, or wine. If you like a Mai Tai, I suggest you go with that - there is no better place than Hawaii to order one, and besides that, most places on mainland have no idea how to make one. 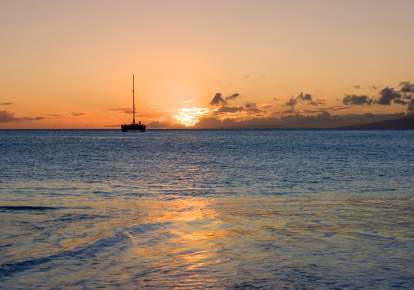 Where is the Best Place to Buy Maui Sunset Cruise Tickets? 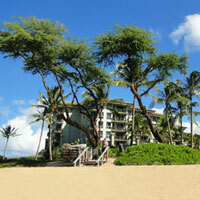 My favorite place to book is on the Barefoot Tours site. They're a reputable local Maui company who has been in business for over 30 years. They have an excellent low price guarantee! They offer a wide selection of activities and tour operators, so I feel confident that you will find what you're looking for! 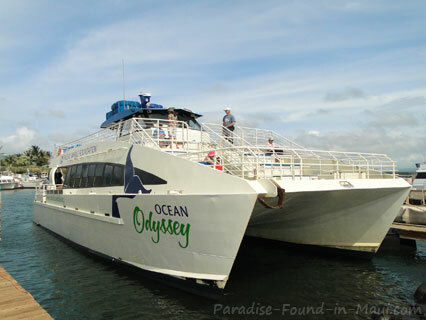 Want to see ALL available sunset Maui cruises? When you get to the Barefoot Tours site, click on the link for "Maui," then scroll down and choose "Sunset Sails and Cruises" for their complete listings, descriptions, and pricing. 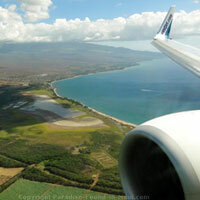 So... are you looking for more great things to do on Maui to relax? 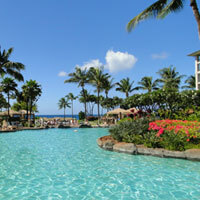 Click here for our our top things to do on Maui for relaxation!